Gov. 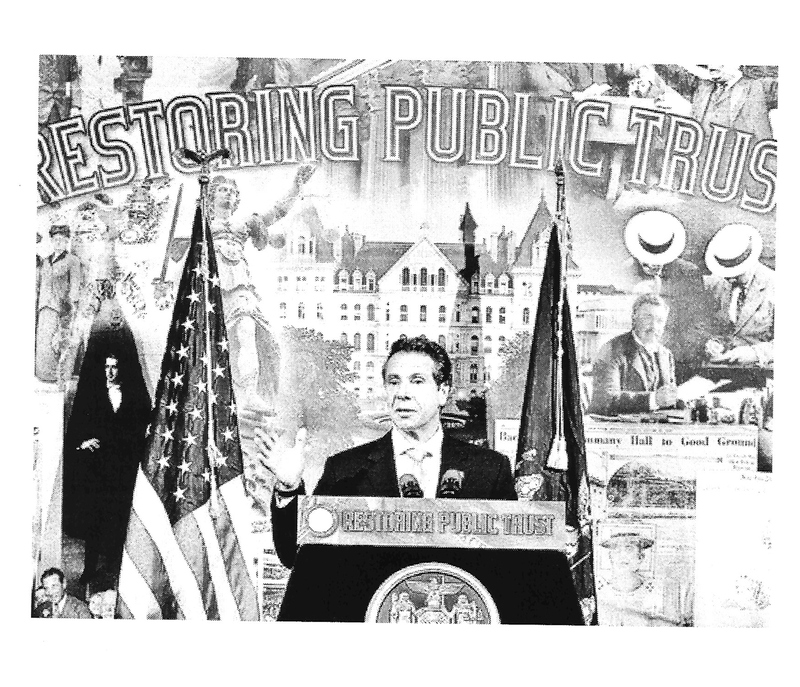 Andrew Cuomo acknowledged in his New Year’s Day inaugural speech that trust is “the life-blood of any government.” That’s quite a statement from a politician whose handling last year of the Moreland Commission understandably led many to question his integrity. The pervasive lack of trust and confidence in our political leaders explains why in 2014, for the first time ever, “dissatisfaction with government” ranks first in Gallup Poll surveys as the “most important problem facing the U.S,” outranking such dominant issues as the economy, Iraq, unemployment, and healthcare. A critical element in building and enhancing the public’s trust in its government institutions and leaders is transparency. Government IS the public’s business, and the people have the right to know the process of governmental decision-making and to review the documents and statistics leading to determinations. It was recognition of this principle, and an understanding that access to the records of government is basic to our society, that led to the enactment forty years ago of New York’s Freedom of Information Law [FOIL]. Mr. Cuomo’s lofty characterization of trust as a government’s life-blood rings hollow, as little more than a throwaway line, when one examines his administration’s handling of FOIL requests pertaining to the Peace Bridge expansion decision-making process. 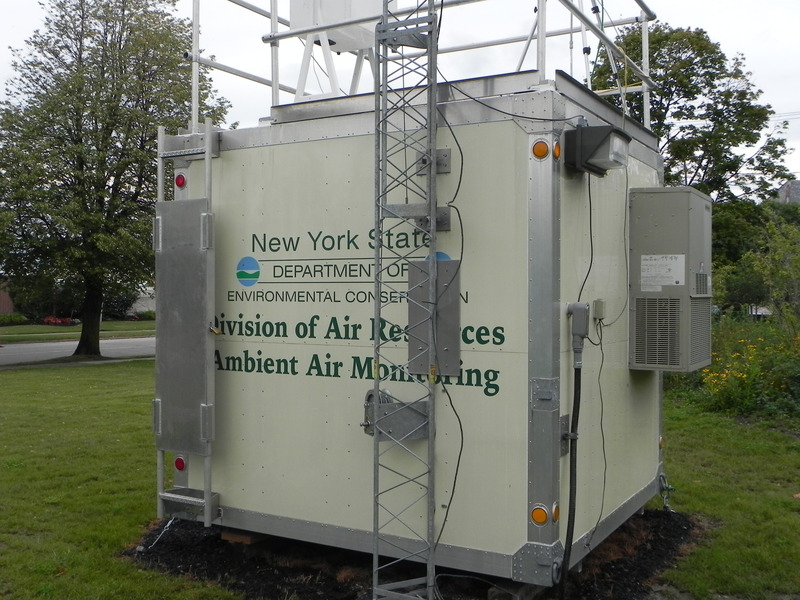 It was in June 2014 that Western New Yorkers first learned of the efforts made by members of Gov. Cuomo’s team to keep the public ignorant of the State’s plans for expanding and enhancing the U.S. plaza servicing the Peace Bridge. Thanks to an advocacy group known as PEER (Public Employees for Environmental Responsibility), an audio tape of the Peace Bridge Authority’s April 25, 2014 board of directors meeting – obtained through FOIL – became available to the public. The taped discussion between the State’s Program Manager for the Peace Bridge, Maria Lehman, and two PBA members, Sam Hoyt and Anthony Masiello, revealed the Cuomo administration’s disdain for transparency, and its secretive strategy to avoid an environmental review process mandated by law. PEER’s efforts since June 2014 to obtain access through FOIL to correspondence between Ms. Lehman and Mr. Hoyt has been systematically stymied by both the State Department of Transportation and Thruway Authority. Although FOIL anticipates that document requests will be acknowledged within five business days, and then complied with within twenty business days, the Cuomo administration has violated the letter and spirit of FOIL by sending PEER a series of notices each extending the date by which the requested material would be made available by an additional month. The Cuomo administration’s delay in providing access to the requested information is both a denial of the requested information, and, in a true sense, a denial of justice. 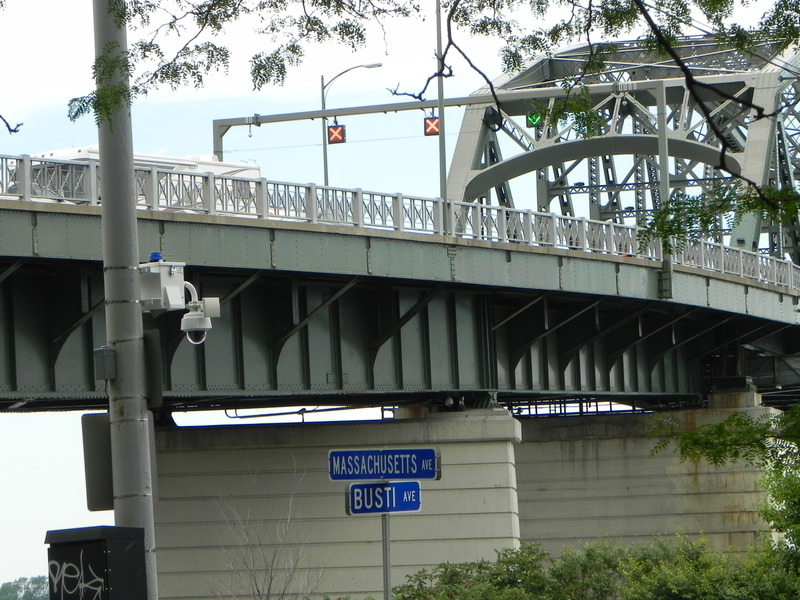 The information being sought is relevant to a lawsuit pending in State Supreme Court brought by my clients, a group of residents residing on Buffalo’s lower west side in close proximity to the Peace Bridge. The court action alleges that the Cuomo administration and the City of Buffalo have engaged in unlawful strategems to avoid examining the cumulative impacts on the health of nearby residents of the various Peace Bridge plaza expansion projects. Only the members of Gov. Cuomo’s administration know whether the information requested through FOIL proves the claims raised by the Peace Bridge neighbors in the current lawsuit. The public has the right to know. And, certainly, so does the Judge. If Andrew Cuomo truly believed that trust is the life-blood of any government, access to the documents would have been granted months ago. Instead, his administrators appear intent to wait for the court to rule without the benefit of knowledge of the backroom decision-making process. No wonder “dissatisfaction with government” is so pervasive.